“Unabashedly retro yet forward thinking at the same time” - Nick Tylwalk, GameZebo (4.5 out of 5). “Doesn’t require taking mushrooms” – Joseph Bernstein, Kill Screen. All the way from the pixel-world of Terra Voxel comes in Space, a fast-paced procedurally generated infinite round-based action and match-three puzzle game hybrid with persistent upgrades, mad difficulty options, and a pumping soundtrack. in Space combines simple mechanics to create engaging gameplay, and with each unlocked ship comes different weapons that change how you play, from nega-beams and time manipulation to explosive sniper rifles. 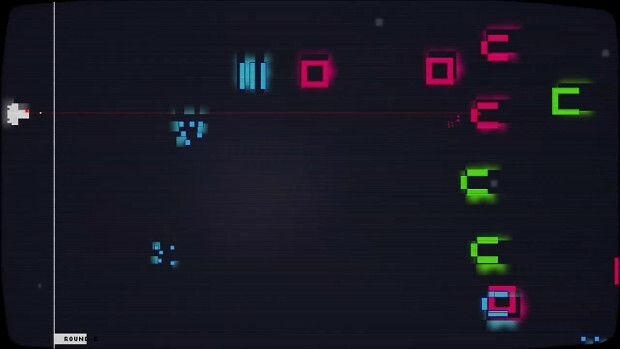 The entire game is wrapped in the aesthetic of an Atari 2600, with music by Matthew le Blanc. It features four modes, including Match Three and Survival, no load times, one boss fight, and enemies that will test the very fibre of your being. in Space, no one can hear you match three.